Memorial Day always makes me happy to kick off the summer season. Like the song says, “the livin’ is easy.” The grill gets fired up, the lawn chairs get set up, and the decorations come out, including the flag. I love the Stars and Stripes, and love to show it properly. Memorial Day is to remember and honor those who died in active military service. I knew I’d feel better on this patriotic weekend by knowing some Do’s and Don’ts for the use of the flag for which they fought. The US Flag Code was established in 1942. The regulations were meant to be fairly common sense. 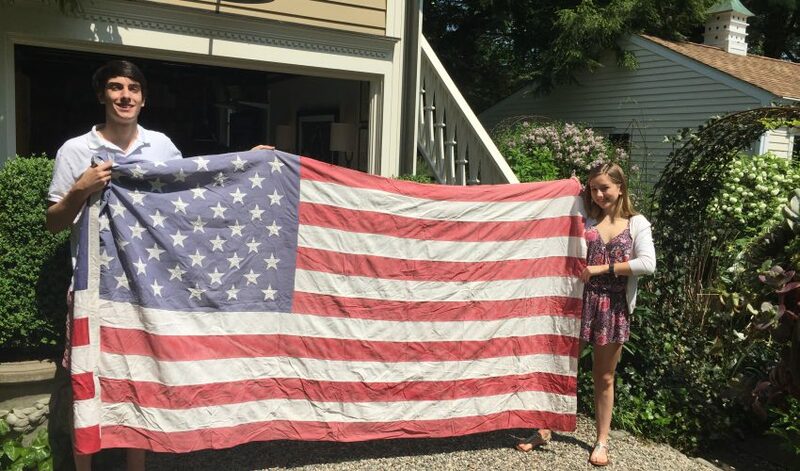 But over time, thanks to common use of the flag in advertising and as a recognizable and iconic image, the etiquette for how to treat the flag has been blurred, and maybe even forgotten by many. I’m all for relaxing some rules — I’m sure glad I don’t have to eat dinner with the same rules as during Downton Abbey times — especially when the intent is to show patriotism. But our flag is special, and should stay that way. Don’t fly the flag upside down (stars at the bottom); that’s saved to signal an emergency. Don’t use the flag for decoration. Instead, use bunting with the blue on top, then white, then red. Don’t leave it displayed on a flagstaff past sundown unless for patriotic effect. There are plenty of ways to include flag-related style to your festivities this weekend. Use the flag’s colors liberally in linens and accessories. Star studded navy napkins, a red table runner…there’s no limit. Once the evening comes and lighting is a must, the colors of the flag can be represented by tealights in festive votives. I love the stargazer lights wound around randomly and placed inside a glass hurricane lamp or footed bowl. To me it looks like the night’s sky. I can almost hear the Star Spangled Banner in the background! As always, this Memorial Day I give thanks for the brave work and sacrifice of so many. I get to “keep it casual” because of them. May this be a wonderful weekend for you all.